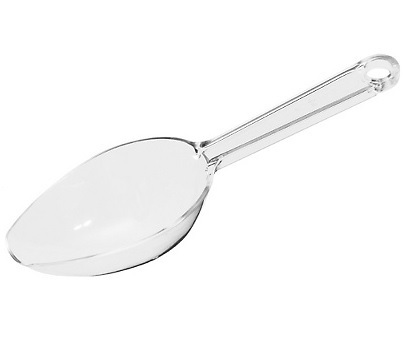 A Clear Candy Scoop is an ideal scoop for all. Use the clear plastic scoops for your store to dish up all the delicious bulk items you offer. Candy, grains, coffee beans, loose teas, nuts, and so much more can be distributed by customers using this scoop into bags in just the right amount they need. Saves waste on your part as well as increasing profits. Plastic scoops are a great way to keep your inventory safe, clean, and sanitary as they keep hands from touching any of the product. 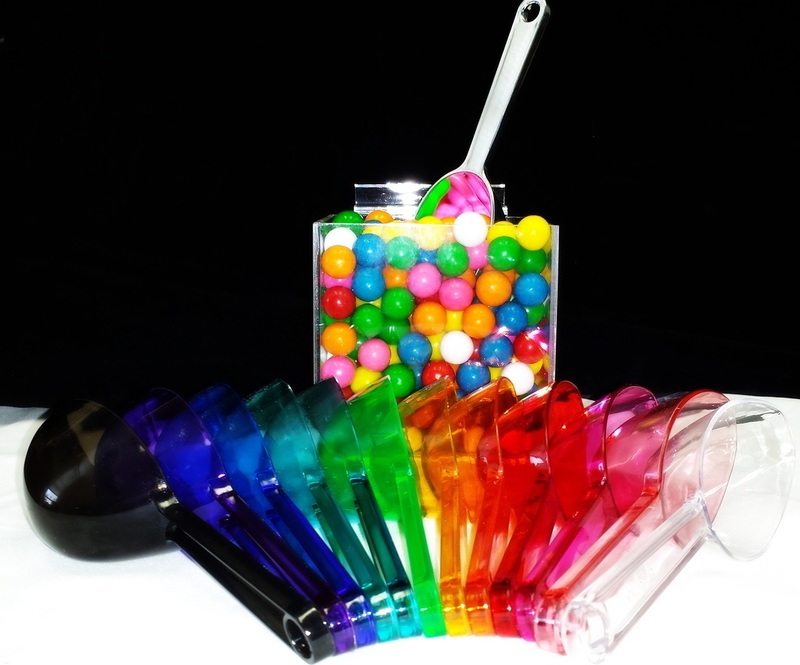 Events such as parties to celebrate birthdays, anniversaries along with weddings tend to embrace the use of candy buffets where guests can dish up an array of candy into a container to take home with them. Scoops are the only way to dish up with so many people helping themselves. These multi-purpose utensils are the absolute way to go. Order yours today!